On my last night at home my family decided that we would go out for a lovely meal to say goodbye. I guess it is possibly the last time I will ever *live* at home. I mean, I haven't really lived at home for a good few years now, but this is the first Summer that I won't be spending at home which is a bit of a scary but definitely exciting thought as it is my first Summer working in St. Andrews! 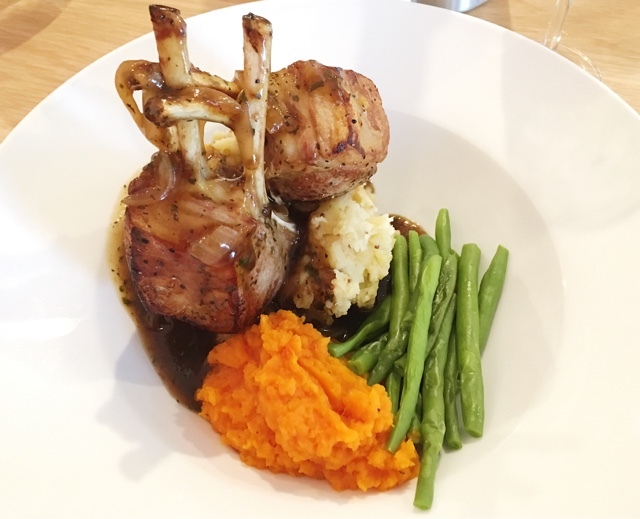 There aren't all that many restaurants in Dunoon if you are looking for a slightly more formal and more upmarket meal, which is why I was so excited when I saw how the Lorne had been refurbished! If I'm honest, I remember it as a slightly cramped and grimy pub that I would go in once a year as a child to use the toilets when it was our highland games. However, now it is a chic and classy gastro-pub with a beautiful spacious layout and a really modern bar area. As I wasn't intending on blogging about my dinner I don't have any pictures of the interior and as it is a new restaurant their website is not up and running yet so you'll just have to take my word for it. 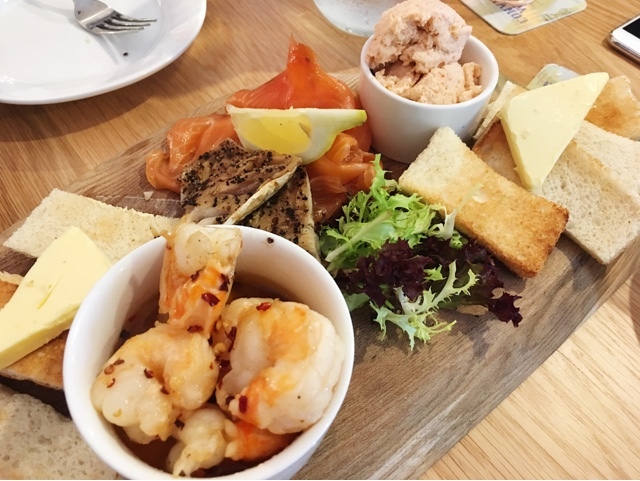 For my starter, Dad and I shared the seafood platter, which came with salmon pate, mackerel, smoked salmon and prawns which were infused in some sort of chilli oil! The stand out absolutely had to be the salmon pate which was divine. It was so light but really tasty at the same time. As we went on a Friday night the specials were grill themed, and I decided to go for the lamb with mustard mash, green beans and a carrot puree. It came with the most delicious mint reduction gravy and honestly was the best dish I have eaten in a restaurant in such a long time! I was so impressed! One of my pieces of lamb was ever so slightly too pink and bloody for me but this was sorted in minutes and I'm so glad I asked as I enjoyed it even more. I have no idea why I have such a thing about sending something back or asking for something to be changed in a restaurant but it is something I am getting much better at doing it. By the time we got to desert I was absolutely stuffed however couldn't miss out on a lemon and lime cheesecake which came with a chocolate mousse and raspberries. The slice of cheesecake was huge and I wish I had more room to eat it as it was perfectly zingy without being sour. A really good way to cleanse your palette after a meal. And after a meal of course comes coffee, or an expresso martini as it was recommended to me by the waitress. Somehow I had never tried one until now and I definitely think I'll be swapping my cappuccino for a martini in the future! As I live right in the west of Scotland this obviously isn't a restaurant everyone will be able to visit but I wanted to blog about it anyay. 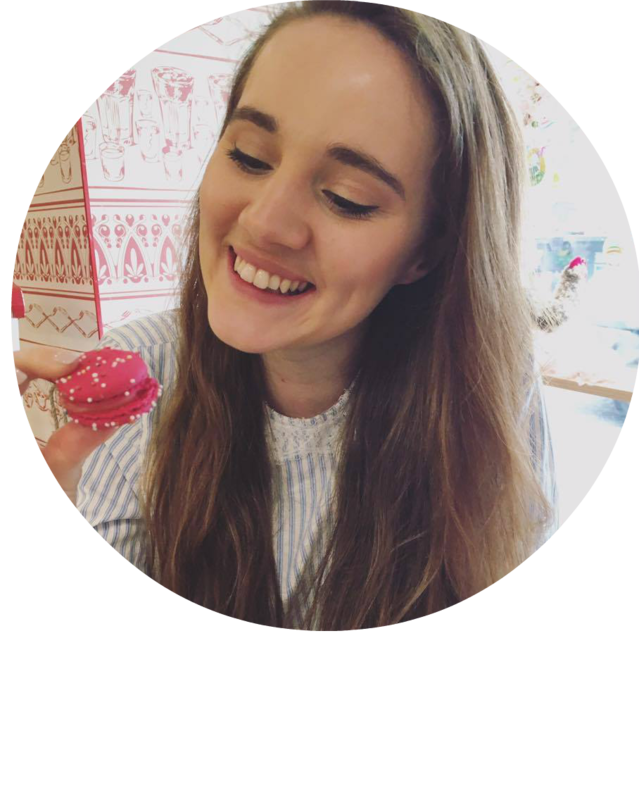 I love reading food reviews about places all over the world, but if you ever find yourself in little old Dunoon I can definitely recommend popping in to the Lorne for some food or even just some cocktails! Have you been out for a nice meal recently? Let me know in the comments!! Looking at that cheesecake is making me hungry! This sounds like a delicious spot! 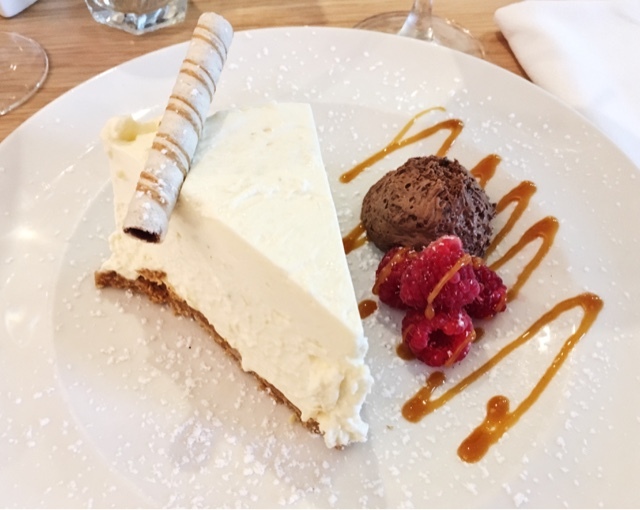 That cheesecake looks incredible - get me to Scotland! Thanks for the great review, we've shared on The Lorne Facebook page!